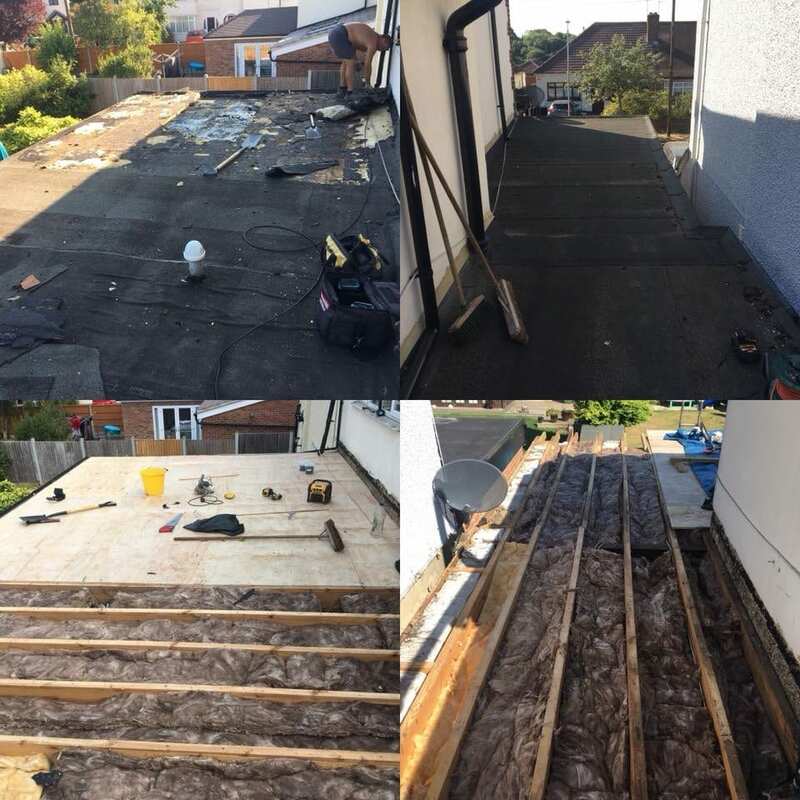 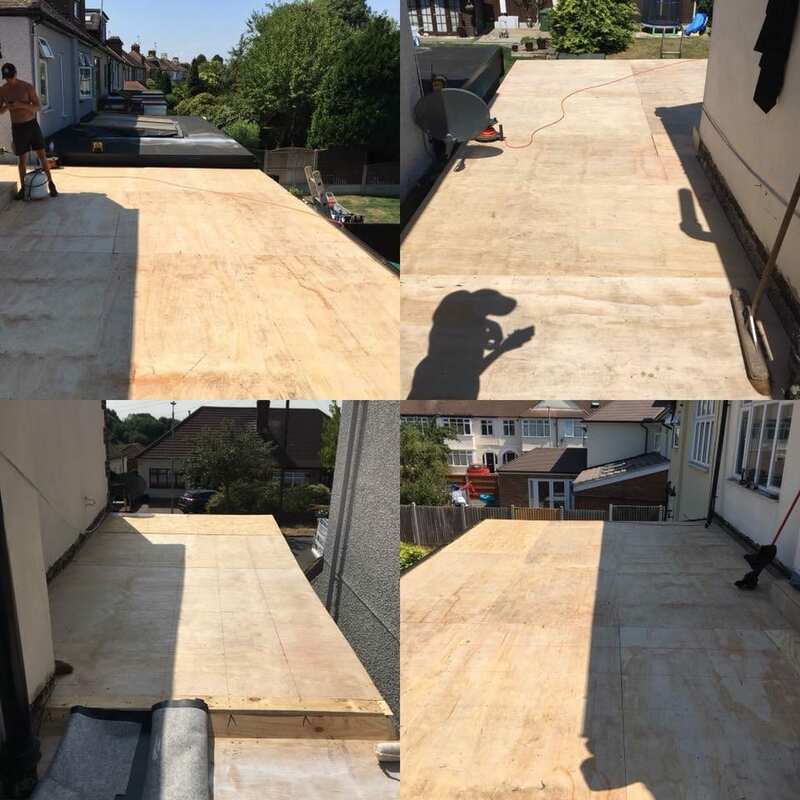 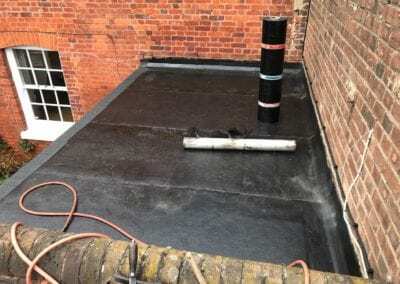 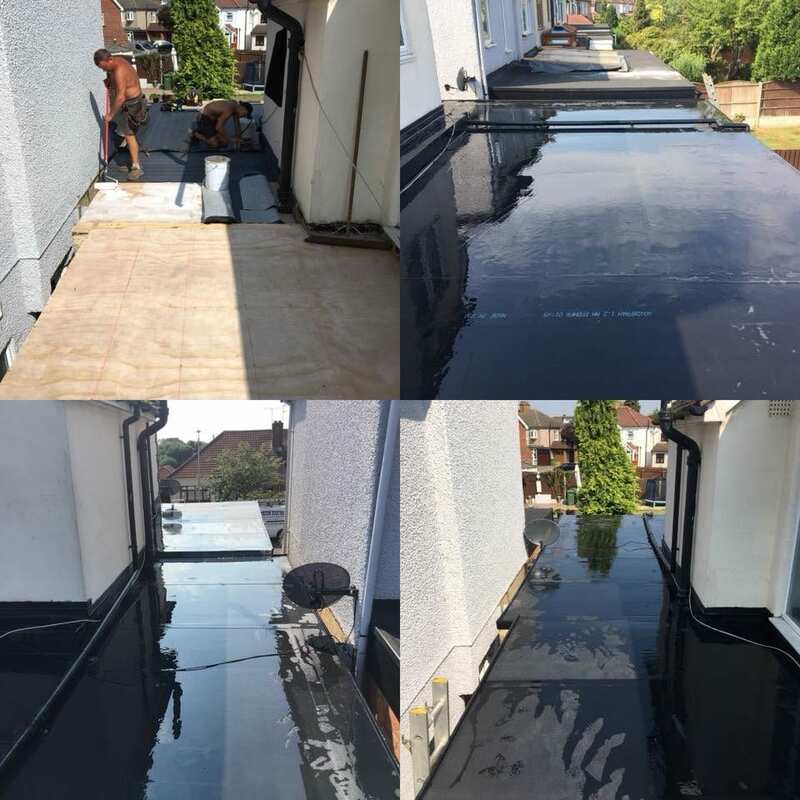 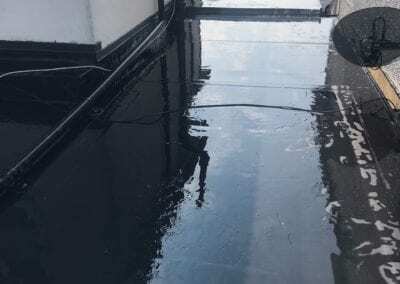 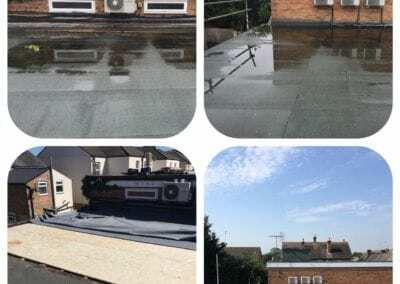 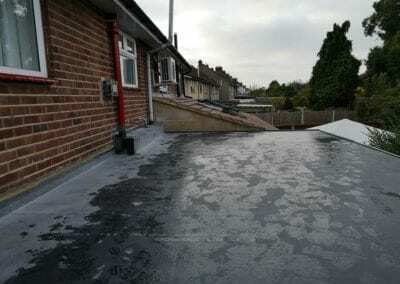 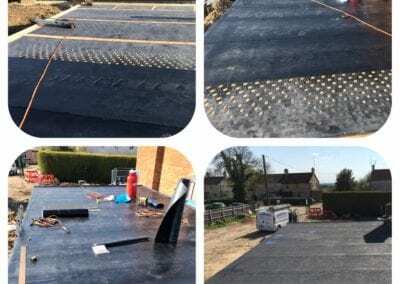 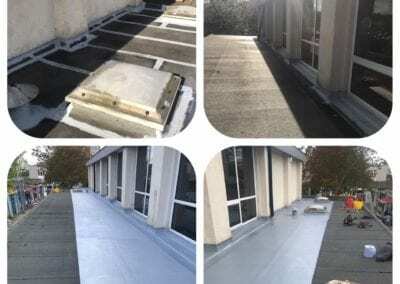 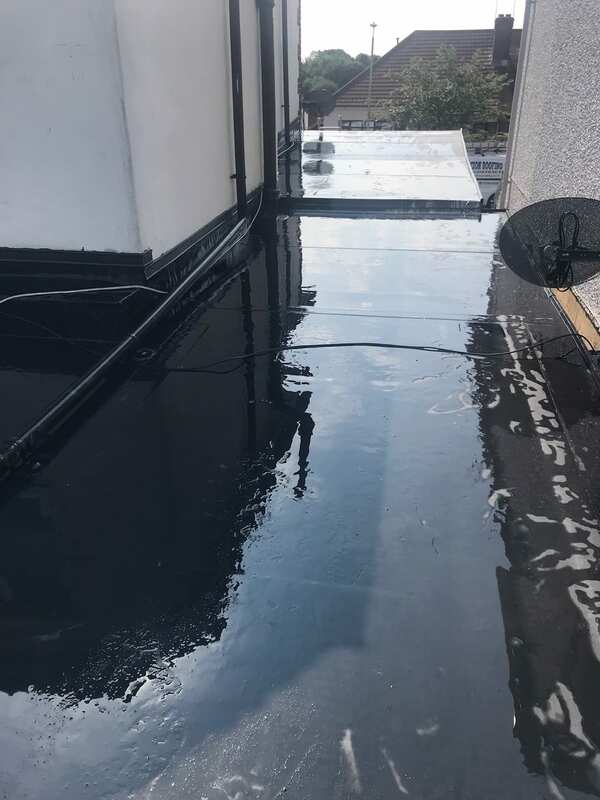 Existing flat roof stripped, insulated, boarded and re-done in EPDM rubber. 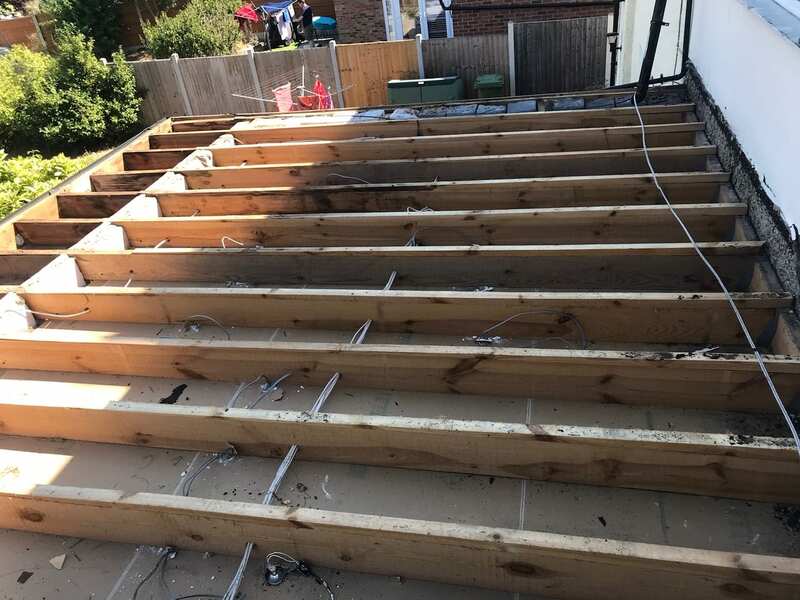 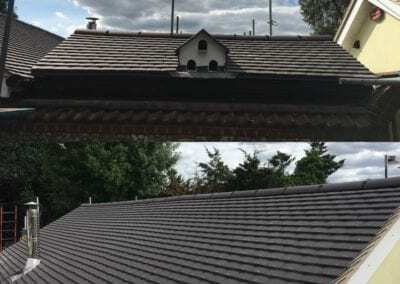 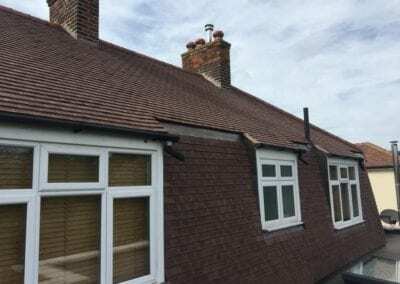 Specification: Fascias, Soffits & Gutters stripped off and carted away. 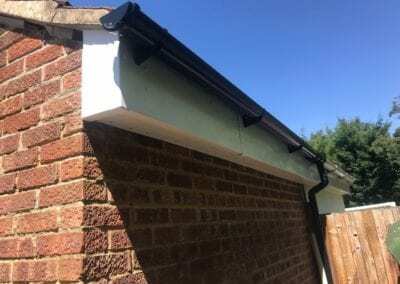 All new Upvc Fascias ,Soffits & Gutters installed. 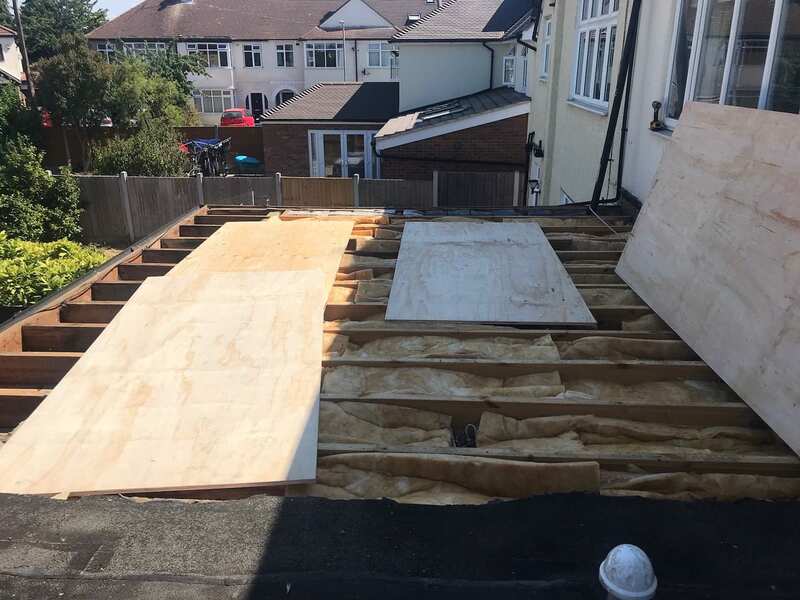 Strip off roof completely, Insulate in between the rafters using 150mm insulation. 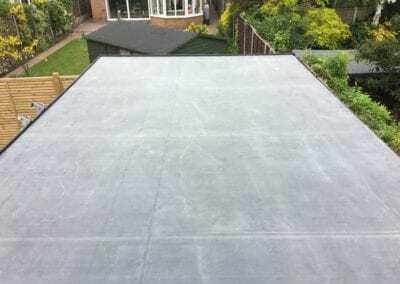 Re-board with 18mm exterior high quality boards, using Epdm Fleeceback Rubber with Code 4 Lead flashings.